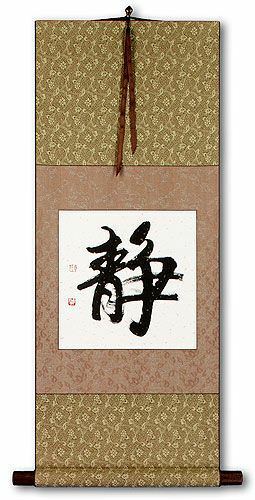 Buy Inner Peace Chinese / Japanese Calligraphy Wall Scrolls! 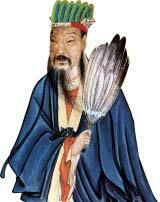 We have many options to create artwork with Inner Peace characters on a wall scroll or portrait. If you want to create an Inner Peace Asian character tattoo, you can purchase that on our Chinese and Japanese Tattoo Image Service page and we'll help you select from many forms of ancient Asian symbols that express the idea of Inner Peace. 鎮靜 represents the idea of being calm or cool in Chinese, Japanese Kanji and old Korean Hanja. My Korean dictionary further defines this as quiet, calm, tranquility, pacification. From my Japanese dictionary: calm, quiet, tranquility, appeasement, pacification. Note: This term is also used in Korean Hanja but there is a slight deviation in the way they write the second character in Korean. Still, a Korean person who can read Hanja, will be able to read this word. We can write it in the Korean form if you wish (just let us know when you place your order). In Korean, this is the word you might use to tell someone to "calm down" or "take it easy." This proverb means "safe and sound without toil or trouble." It kind of means that all is well with a feeling of complete safety. The ideas contained in these characters include well-being, peace, tranquility, quietness, calmness, and non-problematic.